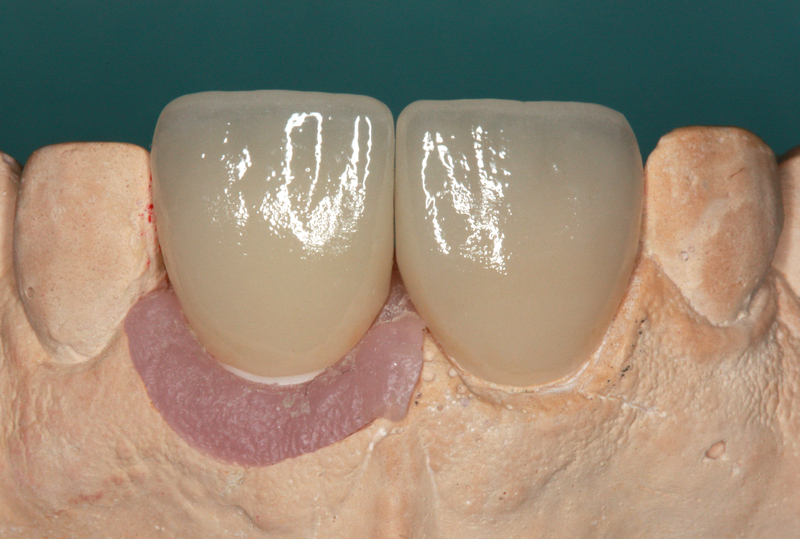 “Closing the Gap” -Improving implant esthetics. 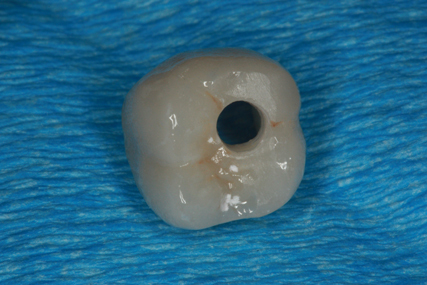 One of the most stressful procedures in dentistry is locating the screw access hole on a cemented crown. 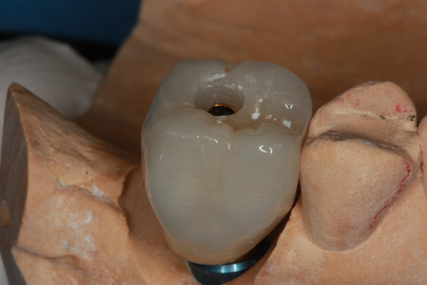 Its monday morning, and your new patient comes in with a complaint of a “loose implant crown.” You take a radiograph and the implant is intact. 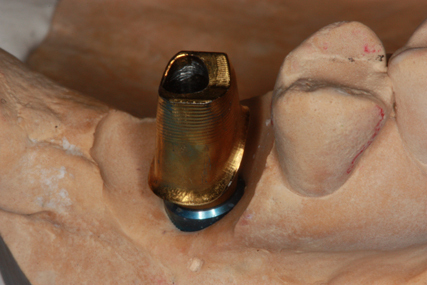 7 out of 10 times, the abutment screw is loose and was not torqued to the manufacturer’s recommended specification. 2 things go through my head: Where is this screw access hole? 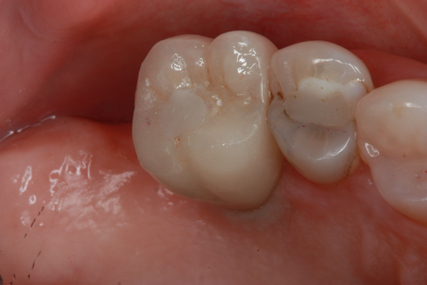 And did this previous dentist hopefully place a packing material to block out the top of the screw? 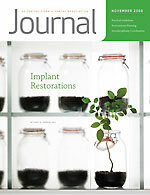 After doing rescuing so many of these implants, you wonder what can I do to make this easier for the next doctor? 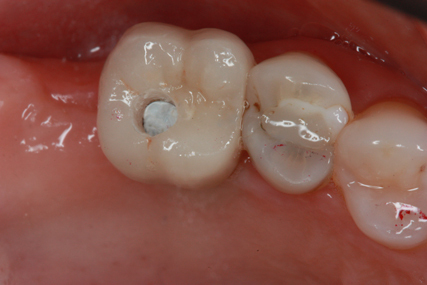 Answer: The screw retained cemented crown. 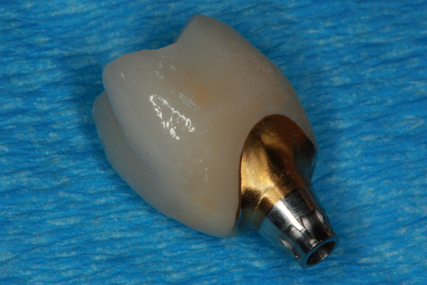 This allows the screw access hole to be easily located in case the crown chips (which is rare with monolithic emax), as well as replaced since the emax is cemented on a gold-hue custom titanium which can be salvaged and reused. 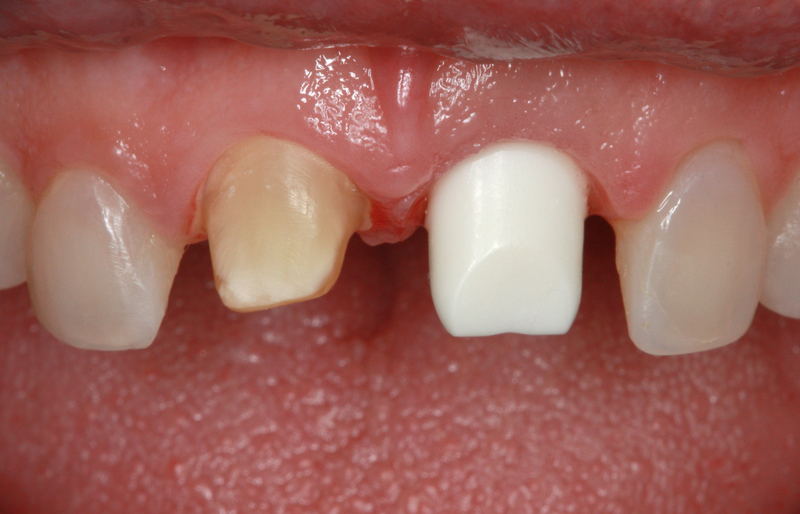 This also allows the crown to be cemented outside the mouth to eliminate cement related implant failures and allows the margin to be placed far sub-gingival for esthetic purposes in case of any further recession. Simply a win-win situation. 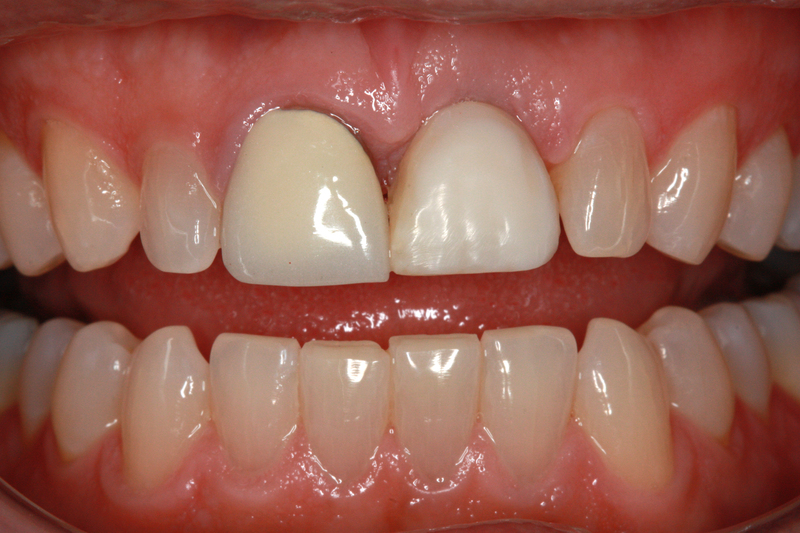 Teeth in a day, one smile after another.